Mitsuo Takayama served as a warning voice to Hawaii consumers about shoddy goods, misleading marketing claims and fraudulent investment scams during his 15 years as an investigator with the state Office of Consumer Protection. He retired in 1985 as chief investigator of the watchdog agency after a 30-year law enforcement career that included service with the Honolulu Police Department and the Honolulu Liquor Commission. "He was sympathetic toward a trusting person who was taken advantage of," said his son, Ken H. Takayama. "But he was not reticent to express disgust with people who were going to pull a fast one on someone, and turned out to have a fast one pulled on them." 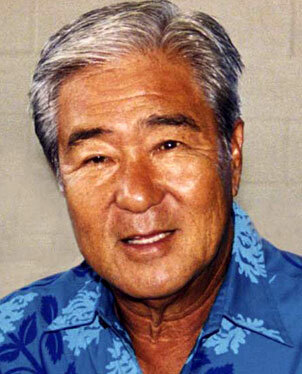 Mitsuo Takayama, 78, died July 23 at his Kaneohe home. Takayama earned a degree in physical education from the University of Hawaii, expertise that he tapped while a police officer, helping to found the Police Athletic League sports program for youth. He joined the consumer office when it was new, said his son. Before he retired, the agency had 15 investigators and four attorneys to pursue complaints. Enforcing the 1974 state landlord-tenant code was a major part of its workload, as was investigating "get rich quick" investment schemes. Takayama was an award-winning orchid grower. "Orchids were his great love after he retired," said his wife, Iris. He was born in Waialua , one of 11 children of a truck farmer. He is survived by wife, Iris; son, Ken H.; daughter, Joyce Tom; stepsons Jon and Jay Yoshimura; brothers Fred and Hiroshi; sisters Rose Morinaga, Harumi Lavarias, Sadako Shintaku and Natsue Higuchi; and one grandson. A memorial service will be held at 6 p.m. tomorrow at Hosoi Garden Mortuary. Friends may call after 5 p.m. The family requests aloha attire and no flowers.